“Until your reason to succeed is bigger than your problem(s), you will continue to struggle with your weight” was the sage advice I’d been given and passed on to my client Sandra during one of our training sessions. I’m sure she was getting tired of me constantly repeating this line to her, but honestly, I was also growing tired of hearing all her reasons why she did not have the time to exercise. “What’s your why?” I asked. "Your why—why is being in good health important to you? 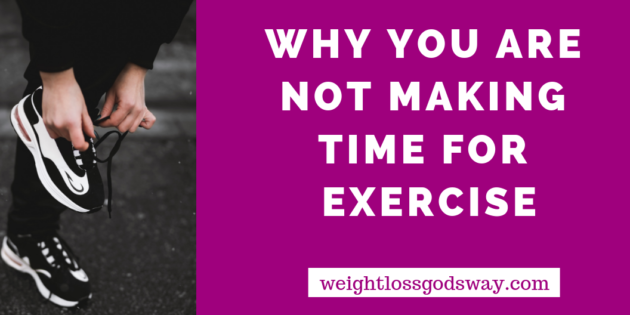 Until your ‘why’ is more compelling than the list of the responsibilities that you mentioned, then you will never be able to justify why exercising should take priority in your life and other responsibilities will continue to crowd it out." If you’re like Sandra and can’t seem to make the time to exercise, ask yourself the same question—what’s my 'why'? Most of us quickly answer, ‘to be healthy’; ‘to have more energy’; or ‘to lose some weight.’ Though they are all great reasons, they’re usually not inspiring enough to motivate us to do those things we don’t want to do like exercise. Getting to YOUR ‘why’ will be the difference between dreaming about exercising versus actually doing it. So, what’s your ‘why’? It’s the motivation that will truly inspire you to go after your goal. Your ‘why’ is the strength that’s going to give you the resolve to say ‘no’ when you’re standing in line at McDonald's or the grocery checkout looking at the chocolate bars. It’s the driving force that will inspire you to wake up and go to the gym when your body would rather stay curled up under the warm blanket on a cold winter morning. It’s the factor that will inspire you to turn off the T.V. and get a good night's sleep so you can be rested and alert the next day. It's more like a deep purpose-driven calling that is spirit-focused. Now it's your turn? What's your 'why?' Why is being in good health important to you? I would love to hear some of your ‘why’s’. Please share below in the Private Facebook Group. P.S. This is one of the exercises that we engage in together in the Weight Loss, God's Way Program. To learn more or get started, check out the 21-Day Challenge.